Cannabinoids are a group of active compounds found in hemp. Hemp contains many chemical compounds that create the different characteristics of the plant. Terpenes provide flavors and aromas, while chlorophyll in the leaves makes the plant green. But the most important chemicals in hemp are the cannabinoids. Cannabinoids are the chemicals which give the hemp plant its medical and recreational properties. Cannabinoids like CBD and THC interact with different receptors in the body to produce a wide range of effects. For more explanation please see our How does it work? Let’s take a deeper look at some of these fascinating compounds. Cannabidiol (CBD) is one of the most common non-psychoactive cannabinoids in the cannabis plant, occurring in the largest concentrations. CBD is a powerful treatment for seizures, pain, inflammation, cancer, auto immune diseases, and numerous other conditions. 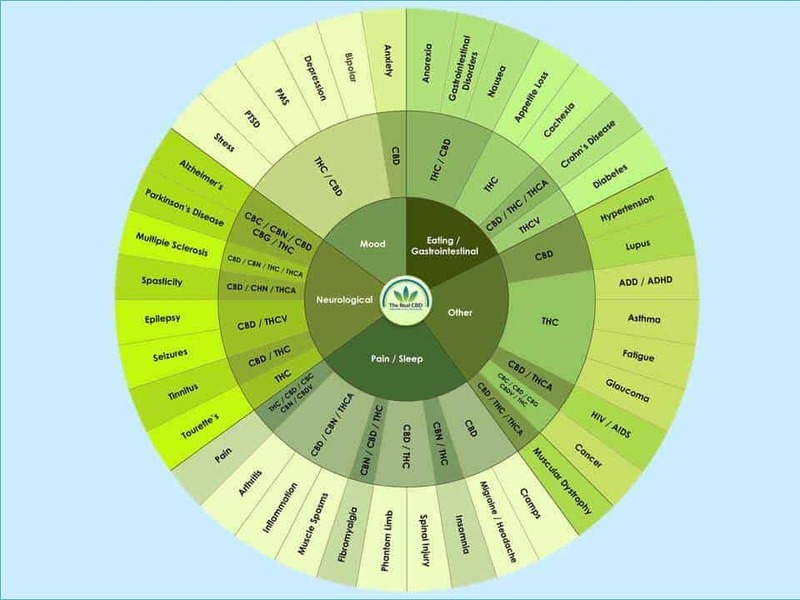 It is thanks to CBGa that all other medicinal effects of cannabis are possible. Cannabigerolic acid (CBGa) can be thought of as the stem cell cannabinoid, which becomes THCa/THC, CBDa/CBD, CBCa/CBC, and CBG. The CBN cannabinoid isn’t very psychoactive but it is super potent. In fact, CBN is the strongest cannabinoid identified for promoting sleep, which makes cannabis rich in CBN an ideal treatment for insomnia. CBC is analgesic and anti-inflammatory, although less potent than these more famous molecules. It is also antibacterial and its variant CBCa has been shown to be an anti-fungal agent. Like CBD, cannabichomene is both a bone stimulant and neurogenic compound, helping grow both body and mind. Perhaps its most important use is as an anti-proliferative, slowing tumor growth and combating cancer, just like CBD and THC. CBC has also been shown to be ten times as powerful as CBD at reducing anxiety and stress. This is a psychoactive compound that has been identified in the hemp plant, though other trace cannabinoids are psychoactive, and others, like CBD, modulate how THC affects the body. TCH has an important role in the full spectrum oil because it affects the way the other cannabinoids work.